When you are eating to be healthy or trying to lose weight, it’s very common so suffer from cravings. Cravings can happen because you are hungry, stressed, or simply because you are between meals. Cravings can make it very hard to stick you your healthy eating plan and often lead to picking up unhealthy snacks. Different people crave differing things. Some people crave sweet things while some people crave savory things. It’s not the cravings that are the problem but what we eat to stop the cravings; it’s normally junk food in the form of unhealthy snacks. Unhealthy snacks are often very high in calories, contain lots of fat, sugar and salt, provide you with no vitamins, minerals or fiber and seldom satisfy your hunger anyway. In fact, you’ll probably want another unhealthy snack almost the moment you finish the one you are eating! When it comes to unhealthy snacks, one is never enough. Needless to say, unhealthy snacking will not help you lose weight and nor will those processed snacks do anything for your health. In fact, just a couple of unhealthy snacks per day could completely negate all your healthy meals. I really struggled to lose weight even though I was exercising and my diet was good. Then I realized that, between healthy meals, I was often having unhealthy snacks. It didn’t take me long to understand that my unhealthy snacks were sabotaging my weight loss efforts. A cereal bar in the morning, a candy bar in the afternoon, potato chips while watching TV – it’s amazing how many unhealthy snacks you can eat without knowing it. So I decided to stop buying unhealthy snacks and find some better alternatives. I didn’t want to give up snacks – I knew my energy and hunger levels would cause me problems if I did. So, instead. I sought out some much healthier alternatives. I stopped eating empty calories from nothing but sugar and fat and found snacks that contain lots of healthy ingredients instead – and no added sugar! So, here is my list of the unhealthiest snacks and what you can eat instead. The idea behind my choice of alternatives is they taste similar but the alternative is much better for you. That way, you can satisfy your cravings without derailing your diet. Cookies are great with a mid-morning coffee or a mid-afternoon tea. They are also a nice treat after dinner when you want something sweet but don’t want a dessert. Store-bought cookies are inevitably very high in calories and, what makes them worse, always come in big packs! A single cookie provides around 60-100 calories each and a packet might contain as many as 20 cookies. So, before you know it, you may well end up eating 2,000 or more calories! So, rather than cookies, I recommend you eat a protein bar instead. Homemade or store-bought, my selection here, is up to you but a protein bar will give you a nice sweet fix without a lot of sugar. Because they are filling, you’ll only want to eat one instead of a whole pack. Here are some super easy protein bar recipes to try. Many people eat potato chips with a sandwich at lunchtime or while watching TV at night. However, while they are definitely tasty, potato chips contain a lot of calories, are often made with unhealthy fats and may even contain sugar! It’s very easy to eat a lot of potato chips as they just aren’t very filling. The next time you want to eat potato chips, try this awesome alternative – Paleo Zucchini Chips. They’re just as tasty but are high in fiber, low in sugar, and so much healthier. Learn how to make them here. I used to snack on candy bars a lot. One in the morning, one in the afternoon – I was seriously addicted to sugar! My 20 no sugar days story here. The trouble is with candy bars is that they give you a little boost of energy but then, soon after, you want another one as your energy levels take a dive. That’s the biggest issue with eating lots of sugar; the more you eat, the more you need and the more you need, the more you eat! Find the 5 most important reasons to avoid sugar. Sweet cravings happen to most people, but that doesn’t mean you have to eat sweets. Instead, try this awesome recipe for Paleo Turtle Bonbons. They’ll satisfy any craving for candy but contain nothing but healthy ingredients. You’ll love them as much as I do I’m sure! Snacks don’t have to be solids; they can be liquids too. Many of us satisfy our need for energy and sugar by drinking soda between meals. Soda is probably THE most concentrated source of sugar around and a standard can of cola contains around 45 grams of sugar – that’s DOUBLE the recommended amount of sugar for a whole day and equal to around nine teaspoons! Soda contains nothing other than sugar and unhealthy chemicals and don’t think diet soda is any better because artificial sweeteners are just as unhealthy as all that sugar. Learn “How to avoid sugar“. Instead of drinking soda, have a healthy, nutritious smoothie instead. Smoothies contain no added sugar, lots of vitamins, minerals and fiber, and are 1000% more healthy than soda. Here are some GREAT smoothie recipes. Savory and crunchy, nuts are a nice snack when you are watching a movie or having a beer with your friends. Nuts are natural and healthy – until they are processed that is! Dry roasted nuts have all sorts of unhealthy ingredients added and can also contain very unhealthy trans fats. Some even contain sugar! If you eat nuts, you should eat raw nuts rather than commercially-made dry roasted nuts. They are healthier for you. But, if you want to eat something a little more exciting, here is a fantastic recipe for spicy nuts and seeds that is healthy and delicious. Some people mistakenly believe that energy bars are healthy. The opposite is often true! Many energy bars contain lots and lots of calories and a whole lot of sugar. If you are running a marathon and need some extra energy, an energy bar could help. But, if you are sat at your desk at work and you are hungry, you DON’T need an energy bar! All that sugar is easily converted to fat, raises your blood glucose, and is actually very unhealthy. If you feel like you need some energy but don’t want to snack on unhealthy energy bars, try these homemade energy balls instead. No cooking required, they are packed with healthy ingredients that I know you’ll love and NO added sugar! Try this no bake protein bars recipe. Granola and cereal bars are healthy, right? WRONG! Most commercially made granola and cereal bars are no better than candy. In fact, it could be argued that they are worse because they are marketed as healthy despite being full of sugar, unhealthy fats, and other ingredients that are bad for you. Granola and cereal bars are convenient though and are tasty too. Luckily, I’ve got a great healthy granola recipe to share with you that is tasty AND healthy but contains no added sugar of other unpleasant ingredients. These granola bars are the real deal – nutritious AND delicious! It really doesn’t matter if you are eating to weight loss or just to be healthy, snacks can help make things easier. Some people will tell you that you shouldn’t snack and all snacks are bad but that really isn’t true. Eating healthy snacks can make eating properly easier by stopping hunger and reducing cravings. The trick is to make sure you ALWAYS have healthy snacks with you. Make sure you have some in your desk at work, in your glovebox in your car, and in your kitchen at home. That way, when you feel like you need a snack, you will always have something healthy to grab. I like to make up batches of snacks on Sunday, the same day I prep my meals for the coming week. That way, I know I won’t end up grabbing something unhealthy to eat. If I don’t have time to make enough snacks, I’ll buy a protein bar – high in protein, low in sugar, high in fiber, but low in calories, a protein bar makes a good snack when you need something healthy to eat in a hurry. The best protein bars I recommend are here explained in detail. 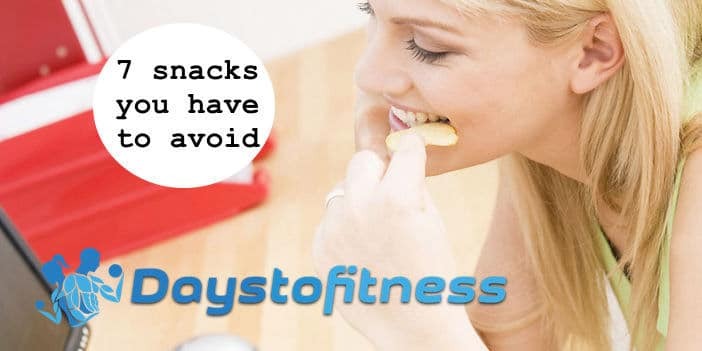 There is no need to give up snacking on any diet but you do need to make sure your snacks are healthy if you want to avoid undoing your healthy meals. Make sure you always have healthy snacks with you and you’ll never fall into the trap of eating unhealthy snacks again.